The post RUMOR: Valve Index Steam Listing Points Towards June 15th Launch appeared first on VRScout. Well this is turning out to be quite a weird April Fool’s day. First we saw the apparently unintentional leak of Valve Index info via a developer video. Now it appears Valve itself may have given us an early look at the headset. What looks like a placeholder Steam page for the new headset went live today. It’s already been taken down but we’ve got some screen caps we took directly. It seemingly gives us a better look at the hardware design, which was only teased in Friday’s announcement. Perhaps most importantly, the page says it ships June 15th with ‘controllers’ and Lighthouse base stations. It doesn’t specify if that means Knuckles controllers or Lighthouse 2.0. We’ve reached out to Valve to ask whether the listing was real. It is April 1, after all. The headset itself has some interesting notes. Namely, we can see built-in earphones similar to the Oculus Rift or HTC Vive Pro. The left of the device also seems to sport a dial of some kind. The hardware specifications state the headset uses DisplayPort 1.2 and USB 3.0 with a power adapter. While Valve is a member of the VirtualLink single cable USB-C standard, Index doesn’t seem to use it (yet). Earlier today screenshots were apparently leaked of the SteamVR settings with the Index connected. These screenshots seem to indicate the headset will have a refresh rate of 90 Hz and the same default render resolution as the Vive Pro- but the actual panel resolution is still unknown. We’ll likely have to wait until May to find out more about the device. Sources previously told us the kit would have a wider field of view and possibly ship with a Half-Life VR game. The post Valve Index VR Headset Listed On Steam, Apparent June 15 Ship Date appeared first on UploadVR. One of PSVR’s premiere racing games will no longer be available to buy digitally soon. The Sony-published Driveclub VR will be pulled from the PlayStation Store on August 31st. The game is a VR adaptation of Evolution Studios’ Driveclub, which is also being pulled from the store on that day along with Driveclub Bikes. As you may have guessed, Sony is decommissioning the game’s online servers. They’ll be going offline in March 2020, at which point you won’t be able to play the game online anymore. Limited single-player features will remain, however. 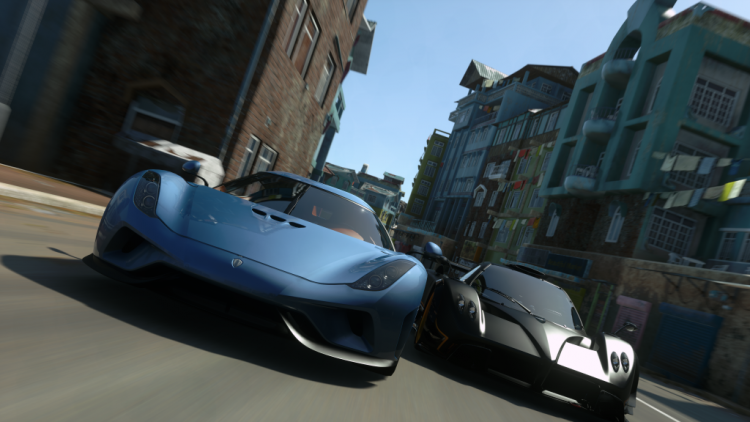 Driveclub VR was released alongside PSVR in October 2016. The game largely ported the cars and tracks seen in the original version to VR with online multiplayer. We were quite fond of it come release, despite some stripped back visuals. It may still be worth playing without the online features just for the experience alone. The game did get a physical release so it won’t be completely eradicated from existence. However, without online play, PSVR is now lacking a full racing simulator to call its own. Gran Turismo Sport’s PSVR support is bare bones to say the least and other games that have PC VR support like Project CARS don’t support PSVR. For our money, Dirt Rally and Wipeout: The Omega Collection are probably the best, most complete driving games on the platform. This isn’t the first Sony-published PSVR game to be decommissioned. Earlier this year we also found out that Starblood Arena will be going offline in July. The post Driveclub VR Is Being Pulled From The PlayStation Store Soon appeared first on UploadVR. The post Raising Awareness Of Human Trafficking Through VR appeared first on VRScout. Penn & Teller VR is Gearbox Software’s Latest Immersive Project Details on the videogame are scarce at the moment. Preview: The Morrigan – A Stylish Dungeon Crawler Needing Finesse The title shows promise but work is needed. How game developers approach the graphical limitations of virtual reality can be interesting. The GPU demands of VR necessitates the need to turn away from photo realism to another artistic choice. When you begin Zoink Games’s title Ghost Giant, you find yourself in a carefully crafted world of cardboard and paper nailed together into a vibrant world. The game begins with the anthropomorphic cat Louis crying into a pond, his tears glowing on the surface of the water, the glow collecting into your plump, three-fingered hands. He sees you and reacts with surprise, hiding his face from you in fear. Pressing the center Move button your hand can take on a pointing gesture and you poke him with your index finger. Louis freaks out realizing that you are real, and hides behind a large rock. With the Move’s trigger button you make a pinching gesture and so you grab the rocks out of the way, which shocks him more. A few more interactions, and he runs from the forest to the family farm. Once you follow Louis there, the player, as the Ghost Giant or so he names you, begins a relationship with Louis. Louis is a talker, constantly telling you things and asking for things. He jokes that you never talk back. Given his ongoing discourse with you, I found myself nodding and waving in response. Even talking back. I don’t believe the game picked up on it, but according to the exec from the game’s publisher Thunderful, the game will interpret some of your responses at certain times. Your relationship with Louis is also built on action. As a ginormous specter, you begin to help Louis work the farm, deal with obstacles, and continue the story of this particular day in his life. Other characters can’t seem to see you, as you interact with the cardboard objects around you directly or via their suddenly appearing brass knobs, for you to grab with your floaty ghost hands. I am grabbing wilting flowers and pulling them from the farm’s fields. I am lifting a car to put on a hill, so it will get started. I am turning a brass crank incongruously sticking out of a cardboard hill to rotate a bridge. I am blowing with my actual mouth, as picked up by the PSVR mic, to gust wind at some birds so they fly away and out of Louis’s path. There have been a number of games where the player has a presence in the world as a larger-than-life figure,such as platformer Astro Bot Rescue Mission or adventure game Moss. You are inside this miniature world that you can look around at, rather than the typical first-person POV of most VR games. This choice feels especially effective for a game where you interact with objects in the world. The post Hands-On: The Whimsy World of Ghost Giant Will Grab You appeared first on UploadVR. Here’s one of PAX East’s more unexpected VR reveals; Borderlands dev Gearbox is making a Penn and Teller VR game. No, this isn’t an April Fools. Penn and Teller VR: Frankly Unfair, Unkind, Unnecessary & Underhanded was quietly confirmed in a press release this weekend. Very little is known about the game other than that it will star the titular magicians. It also seems to be developed by Gearbox internally. The release says it’s due to come to HTC Vive, PSVR and Oculus headsets this summer. It doesn’t say which Oculus headsets it will arrive on, which might suggest Rift S and Quest are both on the table. Given that Gearbox didn’t mention the game in its PAX East presentation this weekend, it’s likely these details could change. Surprisingly enough this won’t be Penn and Teller’s first VR trick. Back in 2017 the pair’s infamous bus simulator, Desert Bus, was turned into a full VR game. It had you making the eight-hour drive from Tuson, Arizona to Las Vegas, Nevada in real time. Yes, in real time. One wrong move and you’d be carried all the way back to the starting line, too. The game was originally meant part of another Penn and Teller game, Smoke and Mirrors. It was a minigame compilation that never actually release. Perhaps FUUUU (that really is the abbreviation) will revive some of those other games? It’s far from all that Gearbox has going on in the world of VR, either. This weekend the company announced it was bringing all of Borderlands 2’s DLC to the VR version of the game for free. The studio’s also publishing the upcoming Trover Saves The Universe. The post Gearbox Is Making A Penn and Teller VR Game appeared first on UploadVR. YouTube allows channels to trim videos, and Zulubo seems to have now trimmed out the parts of the videos showing these settings, if they were there in the first place. But eagle eyed users on Discord and reddit screenshotted the settings and from them we may be able to derive details about the Index headset. During this video from Zulubo Productions the developer apparently quickly opened the SteamVR Settings window. A mysterious icon of a headset that resembles Index is shown, as well as the Knuckles controllers. In the video settings the render resolution slider for the headset can be seen, as well as the frametime indicator. Zulubo is also the studio behind the ‘Moondust’ demo used by Valve itself to test and demonstrate the upcoming Knuckles controllers. Zulubo’s close partnership with Valve does add credence to this report. Zooming in shows the current render resolution as 1913×2125 per eye. However, the render resolution is set to 90%, meaning at 100% it would be 2016×2240. It’s very important to note that a headset’s default render resolution is not the same as its panel resolution. In order to overcome the inherent image quality loss from barell distortion PC VR headsets by default render at a higher resolution than the panels. The original HTC Vive uses 1080×1200 panels and its default was 1512×1680. The Vive Pro upgraded to 1440×1600 panels and upped this default to 2016×2240- exactly what the video’s 90% resolution scaled to 100% would be. Both headsets used a render resolution 1.4x the panel resolution on each axis. The same default render resolution as the Vive Pro seems to indicate Index uses the same 1440×1600 OLED panels as the Vive Pro. Back when Index was first leaked a source told us the headset would have “Vive Pro resolution”- but it was unclear whether they referred to panel resolution or angular. Perhaps it was the former. The post Rumor: Valve Index Dev Video Apparently Reveals Render Resolution And Refresh Rate appeared first on UploadVR. The Spy Who Shrunk Me’s VR Version Delayed It'll be arriving later this April. The post Short Doc Shows How VR Is Changing The Lives Of The Terminally Ill appeared first on VRScout. The VR Job Hub: Schell Games, Krikey, Media Molecule There is a world of jobs out there. The post Five Emotionally Draining VR Films appeared first on VRScout. Sign-up for Swords of Gargantua’s 2nd Closed Beta Test It's now open for more gamers to apply. There’s a new VR Headset Coming in May: Valve Index Valve has finally teased details of its next headset.